The team behind the recently announced Champion Mastery feature convened on the boards yesterday evening to host a Q&A on the upcoming feature! We are excited to launch Champion Mastery to PBE! I am here with the team to answer any questions that you have and listen to your feedback." "Team Builder and Normals right now with ARAM being a consideration along with other game modes." "Team Builder will be covered for Champion Mastery. Co-Op vs AI, Aram and Dominion are still to be determined." "I think that people will level up their favorite champs, and some will then want to seek out new favorites to level up. That's a pretty typical pattern already. Just to clarify - there are levels that you progress through (initially 1-5), and the grades (D-S) are per-game feedback." "Players will be able to view your Profile Landing page which will host your top three Champions and their Mastery as well as eight other champions you are working towards. Loading Screen Emblem and in Game Emote will only show if Level 4 or 5. In game emote is up to your discretion to show or not." "For now you will be able to visit their profile page and see their top 3 Champions as well ones they are working towards. Opening up the Champions Page of friends and other summoners is something we are still considering." 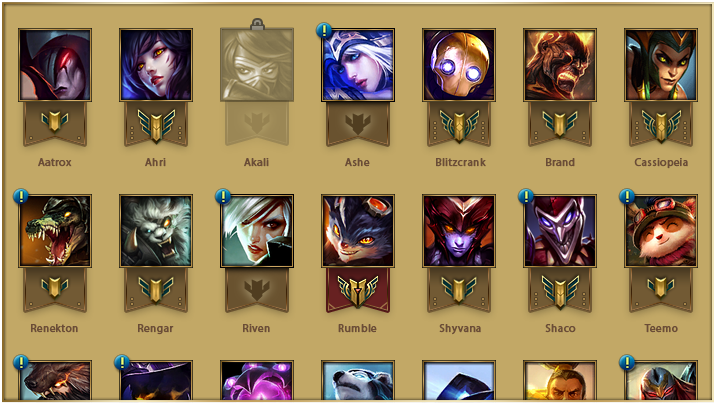 He also noted you can sort your champion page by mastery levels.
" These are different systems for sure. We're looking for this to be something that's cool and lets you show the champions you love playing, while not having the pressure that comes with the evaluation of ranked games. You can pick a goal and focus on that, or you can just do your thing, and your champ pool will level up anyway." "It was a balancing act for sure and will be something we will continue to monitor as the feature rolls out. The feature has been something we have considered for quite a while and developed over the past year to the level you see now." "Hey Dimesio! Yes, we are planning on releasing more tiers in the future! Soon™"
Check out our PBE coverage for a better look at the "purple" and "teal" tier assets. "Each game, based on how well you performed you will earn a grade. These grades don't persist - it basically tells you how good you did in a game. So imagine you play a game and you pull a Bjergson crushing the enemy team and performing in the highest x% of players in your region. You would earn an S+ for that game. That S+ would translate into some point score that when added to your teams performance and a few other factors determines the total points for the game. Those points go towards your level, which unlocks the rewards." "We're using a mix of core game metrics, and we're then mapping you to other players in that champ / position combination. Depending on your percentile compared to others in those metrics you get a grade. We feel pretty good that you can't abuse the metrics we've using but it's definitely something we'll keep an eye on." "The main thing here is that your grades are comparing you to other people playing the same champion in that position. So when you play Vel'koz support, you're being graded against other Vel'koz supports. Likewise bruisers. So the grades should make sense for the way you're choosing to play." "We're grading you against all other players in that champion and position combo. We're not looking at your MMR. Grades are absolute. We didn't think we'd be able to do this at first - we assumed (like you) that top tier players would only get the highest grades, but in our testing that hasn't shown to be the case. Bronze players having amazing games can still get the top grades, it's just less common." "Yes! 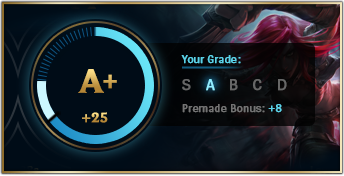 You will always see the grade when you play on a champion mastery enabled game mode (normal SR), even when you are maxed." "S rank (S+) is the highest grade." You are correct that if not set up correctly the danger is player's could attempt to game the system. This is part of why we won't reveal exactly what metrics we evaluate." "Its going to average 15 to 30 games to make Level 5 Champion Mastery. " "One thing to note here is that we're looking at 15-30 games for level 5, but we'll be unlocking additional levels later. That said, it's fair to say that we want people to be leveling up a pool of champions, not going super-deep on a single champ." "It depends on how well you perform. If you are performing really well on a champion you will unlock the rewards quickly. If not it will take longer." "Previous games will not applied to Champion Mastery. It will be a fresh start from launch of the feature." "Fresh start since performance is a basis for leveling them up." "No. Champion Mastery will not reset." "You can level free to play champions up to level 4, after that they will stop accruing points until they are unlocked." "No decay is planned currently." "you cannot lose a level of Champion Mastery after it is earned." "Ranked is the only system that gives players explicit feedback that they are improving atm (and sometimes not improving). In reality, every game you play you are typically improving to some degree. We want this system to fill that gap with a combination of the grading system and progression system. The grading system is percentile driven - so earning a high score means you performed in the top x% of players on that champ in that position. The grade governs the point gains. Ultimately we want a feedback loop that feels meaningful and if we don't feel like we've achieved that we will reevaluate." "This is a good point. We know some players just want to go hard and be measured in a hyper competitive environment. This system won't preclude us from doing some kind of champion specific leaderboards in the future. That said, this system is intentionally more accessible than ranked. When we ran pro players through the grading system, none of them were able to consistently earn S+ grades each game. Getting the point where you can consistently earn high grades would be worth bragging about." So at the current design, if someone played 1000 games with one single champion, exaggerating of course, he would receive the emotes regardless of how he performed? That's accurate. If you had 2 players one of which face rolled 1000 games and one of whom played 1000 games at a pro level, the pro level player would have a significantly higher overall point score than the other player (since points continue to accrue after max level) but both would be max level and have the emotes. The other thing to keep in mind is that you get a performance score each game. Getting to the point where you can consistently earn an S grade requires a very high level of play." "Level 5 celebration at end of game will be similar to reaching ranked tiers." "So! The main difference right now is in the banners, emblems, and emotes you get for reaching that tier. All your friends and teammates will see the shiny, glorious red badge instead of the underling "brown/tan" badge. We do plan on adding more rewards other than just cosmetics in the near future." "Hey! I'm the visual designer on this feature. The way champion mastery shows up on the loading screen is actually a badge/flag that shows up over the top left of your ranked border. We've also moved honor to the center of the top bar to make way for this. 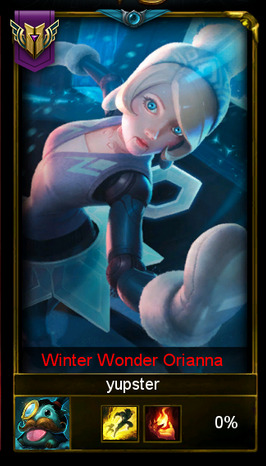 So... if you play ranked, have an honor badge, and are playing a champion with mastery level 4 or higher, you will look super epic!" "It's an emote, so you can choose to play if you want to but will never appear by default. Loading screen borders do automatically appear but only if you are tier 4 or above." 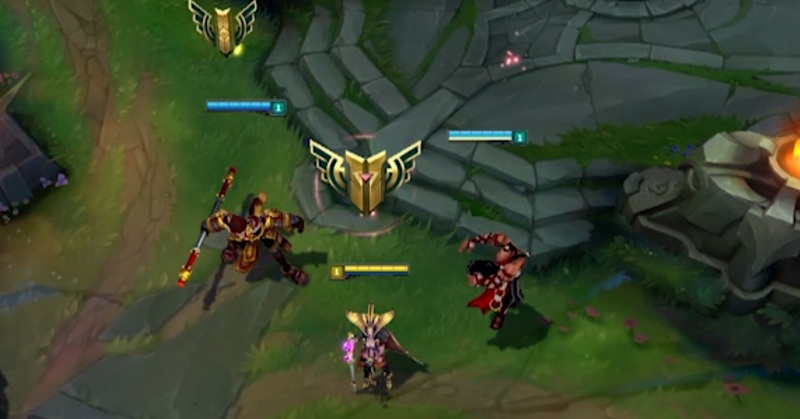 "Ctrl+6 shows the emote when you reach Level 4 or Level 5 on the champion you are playing. The emote is not custom per champion and the champions do not have a custom animation to go with it. Currently the emote is only visible to your teammates but we are considering opening it up to enemies." "Currently your whole team can see your loading screen banner and your in-game emote. The in-game emote default hotkey is ctrl+6"
"Right now it's team-only, but we are certainly considering a change to that. :-)"
"Yup, it shows in all game modes." "Your banner & emote show in all queues." "We're not planning to do that but we can't think about it if folks think it's necessary. I don't think people are going to make that assumption here. Ranked is where you go for pure measurement of skill. 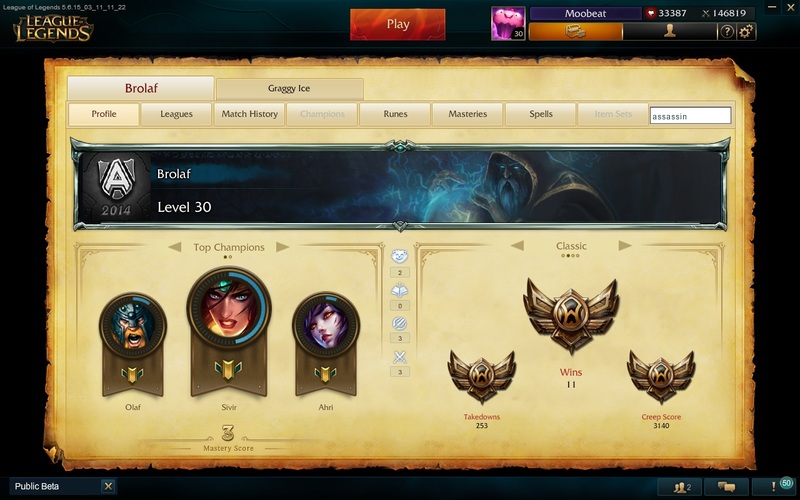 Champ Mastery is about putting the time and effort into leveling up a champion. People will recognize that you're not a noob with that champion, you know what you're doing, you've put in effort to really understand that champ." "We are gathering all the ideas from players and internally to consider." "Something we will consider but right now it is not planned"
"Hi Just Mid! We have seen many awesome suggestions from the community, and nothing is off the table. We still have a big to do on reward decisions. :-)"
"Hey! Definitely a cool idea, will take this into serious consideration for the future! Thanks!" "We have the Mastery Level which is a total number for your mastery progress. We're looking at ways to make that more visible to other players in future. We don't have concrete plans on rewards but we definitely want people to feel value from mastering a wide champion pool." "I doubt we would do special skins for every champion due to a variety of reasons including scope alone. We are gathering feedback from players about potential future rewards and will consider them." "Definitely something to consider post launch. Thanks for the idea. :)"
"Interesting concept. Custom voice emotes at highest level. Will add this for consideration." Be sure to check out the Champion Mastery Announcement and our PBE coverage for more info!